When you are in processing of moving from one home to another, you have a lot in your hands as you park and carry boxes to your moving truck. In the process, it is possible to drop your keys in one of your boxes and not even know it. If you have Lost Transponder Key and can’t unlock your vehicle, you will be stranded since you can’t drive your car. 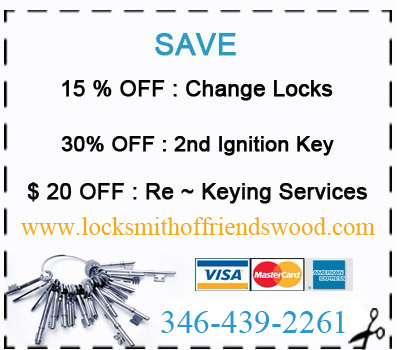 If you call King Locksmith of Friendswood, we can make you another one. Lost keys can cause you major inconveniences since you may not have a ride. But our locksmiths can make you another Car Key Copy to help you drive your vehicle. We are fast in our response when you need help; we are also available 24 hours a day, 7 days a week. When you need help in Friendswood, TX you can call us at any time. Need a Spare Car Key Cutting or Replacement Keys for your Car? Are your car keys stuck in the ignition? Call Us We Can Help! Our mobile Locksmiths in Friendswood, can reach you within 20 minutes, 24 hours a day, 7 days a week, and complete work on the first visit in practically all cases. We have a lot of remotes that we can offer you to Replacement Key Fob when you have lost one. Our remotes are of good quality and are reliable just like your original ones. We can provide these to you on the road because our mobile service is fully stocked with parts that our customers need the most. Our locksmiths can also help you make spare car keys if you have lost yours. We have advanced key-cutting equipment that we can use to make you high quality keys that will function just as well as your original keys.